What Are My Different Orthodontic Treatment Options and How Do I Decide? Your smile is one of the first things people see and if you aren't sure about this, then you might not be grinning as much as you want to be. An orthodontic treatment will help align your teeth while also improving your oral health. Ideally, orthodontics are done when a patient is younger since their teeth are still malleable and it is faster to fix their bite. However, more adult patients in Pearland, TX are considering braces if they did not get them when they were young or if they didn't use their retainers. Luckily, there are more choices now in orthodontics, like aligners that are removable and clear so many of your friends won't know you have them. At Highland Dental Care and Ortho., our staff provides a number of modern orthodontic treatments that will help you or your kid get a straighter smile. If we don't provide the option you would like, we will recommend a great orthodontist in Pearland, TX. Overlapping or crooked teeth don't just damage your appearance, they could also damage your oral health. Crooked or crowded teeth are more difficult to brush correctly, which may result in issues like chronic bad breath, cavities, and periodontal disease. Whenever your teeth and jaw aren't correctly aligned, it can result in pain in you temporomandibular joint (TMJ). Significant misalignment may also result in speech problems. These are some of the reasons why getting braces isn't only about enhancing your appearance, but also your dental health. To decide whether you or your child require orthodontics, schedule an appointment with an orthodontist or dentist in Pearland, TX. In your consultation, your orthodontist or dentist may use x-rays along with other tools to evaluate your bite. They'll decide which malocclusion you have (overbite, under bite, crossbite, or open bite) and also the degree. From that point, they will review treatment choices and prices that will help you pick which is ideal for you. After you have selected a treatment, they will personalize your treatment program and estimate how long you'll need to have orthodontics. Following your first appointment to get your braces on or to receive your aligners, you'll have to come back every 4 – 6 weeks or as directed for progress checks and adjustments. The most familiar and usually least expensive option to straighten your smile is using conventional braces. A metal bracket is applied to every tooth with an arch wire connecting them to bring the teeth into position. Children (and adults when they'd like) can pick from an assortment of elastic bands to give their braces a fun color. Braces with ceramic brackets usually cost more compared to conventional braces, but they match your enamel so they are not as visible. Even though they are made out of a durable ceramic substance, they're more delicate than traditional braces so patients will need to be mindful about staining food and beverages, like coffee and berries. Lingual braces are all made custom to be placed on the tongue-side of your teeth. Lingual braces are more expensive than ceramic or metal braces and tend to be somewhat more complex to put on so an experienced orthodontist is suggested. They may be annoying to your tongue and create some problems with speaking as you're getting used to your braces. Sometimes called damon braces, self-ligating braces are much like conventional metal braces; however, the brackets do not need elastic bands. Self-ligating braces have a special mechanism to keep the wire in the brackets instead of elastic bands, which can break easily. Among the most well-known options for adults, aligners may be taken off to eat and brush your teeth. The most discreet of all orthodontic options, a series of clear aligners are custom made to gradually move your teeth into position. A pair of aligners is usually used for 2 – 3 weeks, then you switch to another pair. Regardless of what option you pick, you will be happy with your outcome when your treatment is finished. Even though the main portion of your therapy is finished, there's still more to do. To hold your teeth in position while your jaw and gums adjust, patients must use a retainer. In the beginning, you'll have to use your retainer as often as you can, taking it out just to brush your teeth and eat. As time passes, your orthodontist or dentist may move you to just wearing it at nighttime. It's crucial that you use your retainer as long as you're advised to prevent future issues. Many adults who have braces are wearing them again since they didn't wear their retainer. In case you or your child has difficulty using your retainer, ask about a fixed retainer. A small wire adhered to the rear of the top and/or bottom teeth, a fixed retainer can't be lost or removed. 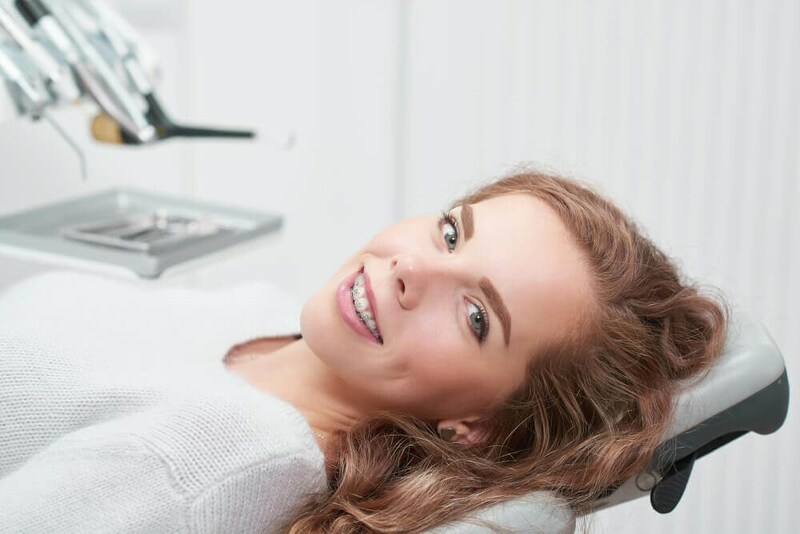 As well as using your retainer, you need to keep your teeth bright and healthy with routine appointments at your Pearland, TX dentist for dental examinations and twice-yearly cleanings. If you would like to help your smile look better following orthodontics, then Highland Dental Care and Ortho. performs several cosmetic procedures, such as laser or home teeth whitening. Schedule an appointment at our practice in Pearland, TX to find out more about your cosmetic dentistry choices. When you'd like a healthier, straighter smile for yourself or your child, schedule an appointment at our practice in Pearland, TX. Our experienced team provides a number of advanced orthodontic treatments to fulfill your needs, goals, and budget. Aligners or braces will help every patient boost the health and appearance of their smile.